Designed to perform in tune with you and your needs. 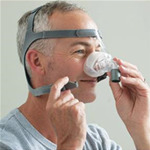 This compact nasal mask is packed with technological innovations orchestrated to provide effective CPAP therapy. 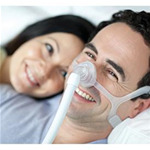 The F&P Eson™ is super quiet with minimal draft allowing an undisrupted sleep for you and your bed partner. 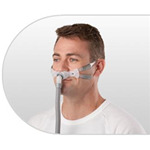 With only three simple parts, the F&P Eson mask is easy to clean and reassemble.